True love is the greatest adventure, now and forever. 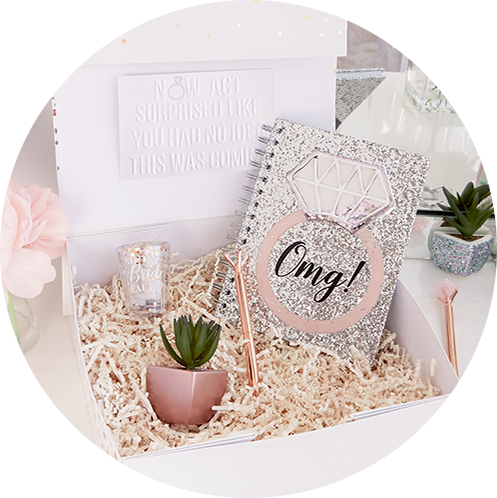 Take a peek at things that sparkle, the essentials for a blow out bachelorette bash, and thoughtful gifts for the newlyweds in your life. Customized gift boxes go a long way for any wedding event. Add personal touches for your bridal party, for the newlyweds, or the bride! With plenty of unique gifts to choose from you can select adorable drinkware, bridal décor, or stationery. Create your personalized gift box with Icing! You must be 18 years of age or over to join our mailing list. 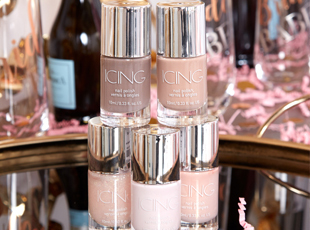 The Icing Bridal Bar is open to you for original and thoughtful ideas for the big day. 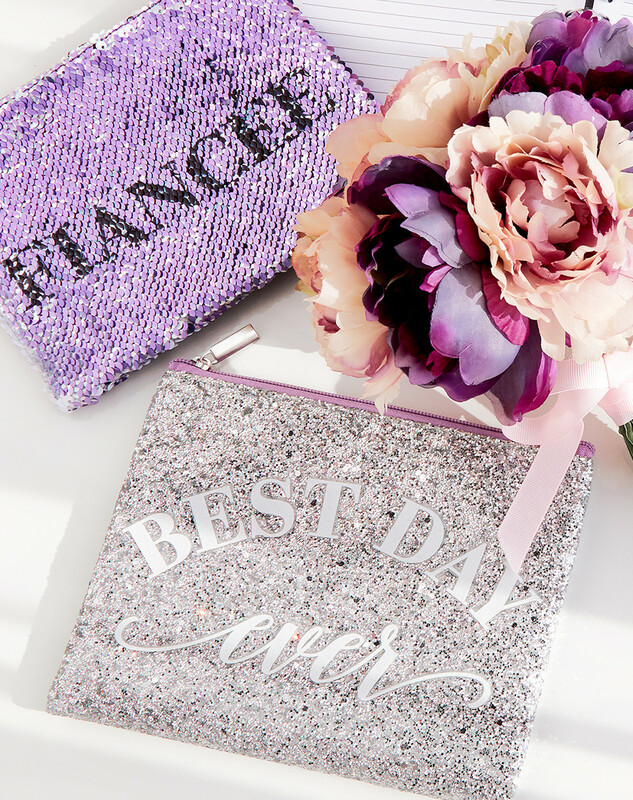 Find fun and glittery drinkware for you and your bridal party for great gift ideas. Some fab wedding accessory ideas include veils, elegant and easy additions to your dress and hair, or jewelry sets for yourself and your ladies. Our bridesmaid accessory ideas start with an emergency kit for the day of the wedding, fun bachelorette sashes for everyone Team Bride, or gifts for your girls thanking them for their help. 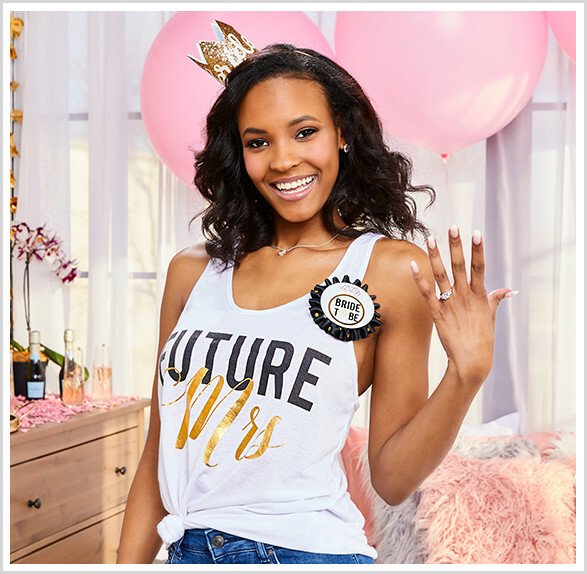 Get creative with bachelorette party accessory ideas so your bride can have the ultimate night out before her walk down the aisle. 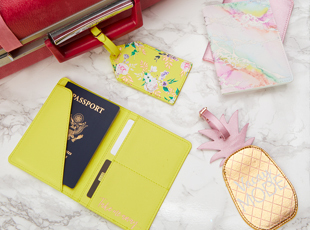 Cute journals, funny novelty gifts, flasks, and more will make for amazing gifts to make this the most memorable time of your life! This is the biggest day OF YOUR LIFE! We also know how important it is to have the right sparkle, the right shine, or the even the right pattern of lace. 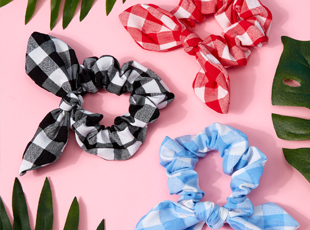 Girl, consider us one of those wedding accessory stores that has all the essentials and the little extras you haven't even thought of. We wanna take care of you and your crew. Our gorgeous bridal accessories range from full on fab to delicate and simple. Your bride-to-be accessories will look original and beautiful to achieve all those unique looks every bride deserves to have! 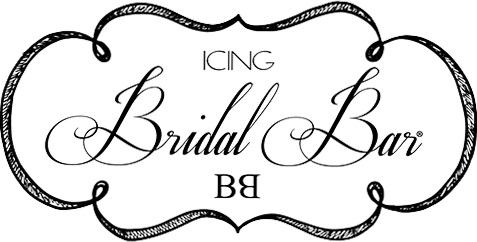 With all the affordability you've been looking for, you and your bride tribe will no longer have to figure out where to buy bridal accessories cause Icing has got you covered. Bridal jewelry sets make life a little easier so you're not searching high and low for matching pieces. We guarantee the right amount of sparkle and shine (maybe even a hint of pearl) to have your guests drooling over how gorgeous you look. 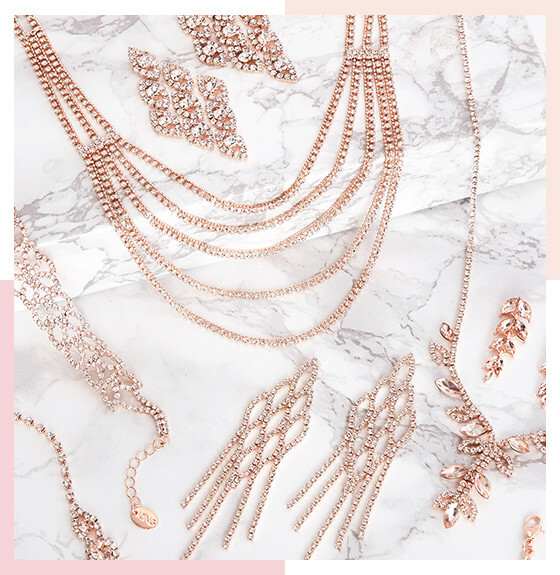 Every night to remember deserves the best bridal jewelry with options spanning from sweet and sparkly earring studs, to elegant bangles and cuffs for the girl that loves to accessorize! Stunning chokers and ornate chandelier earrings will give all the vibes of the super glam bride. Wedding body jewelry is for the modern millennial bride that loves to adorn herself in sparkles. Get your shoulder necklaces and shoulder chain jewelry for a nod to classic glamour or to set off the boho bride vibe for the ultimate glow. Style out those tresses with tons of options for the best bridal 'do. It seems that over the years, options for amazing hair on the big day have flourished with so many sweet trinkets, florals, and sparkles. 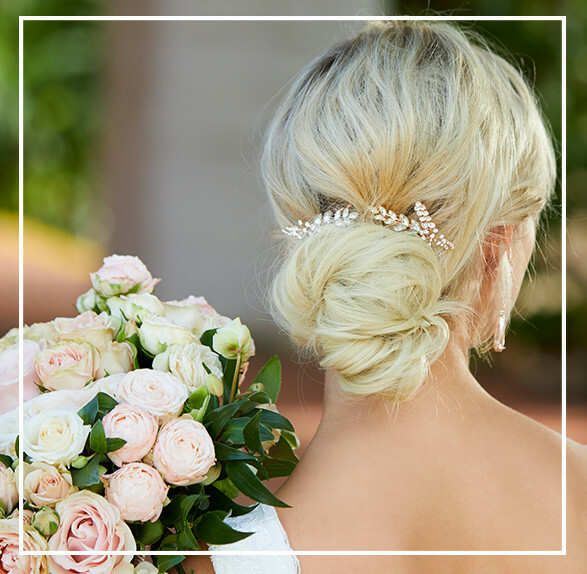 Bridal hair accessories have elevated from hair spinners that tuck perfectly into your hair, to elegant hair pieces with plenty of sparkle to get you into a beautiful glam look or an earthy feel with vines and metallic finishes. 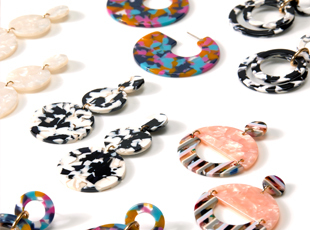 Get your fix of gold, silver, rose gold, lace, satin, and a TON more! Get yourself something special or get your girls the hookup for fab hair options. It's the last fling before the ring and you're about to make it an epic time with your girls! 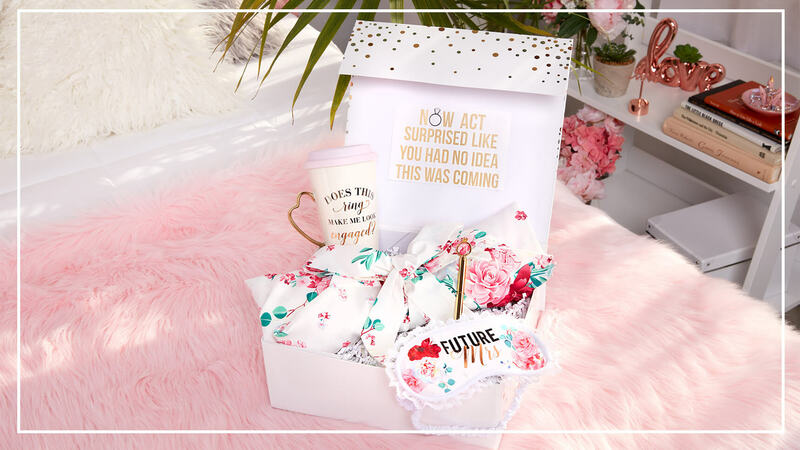 It's also a perfect time to give your lady squad a few treats from our bachelorette party gifts to thank them for having your back throughout all the crazy wedding planning. 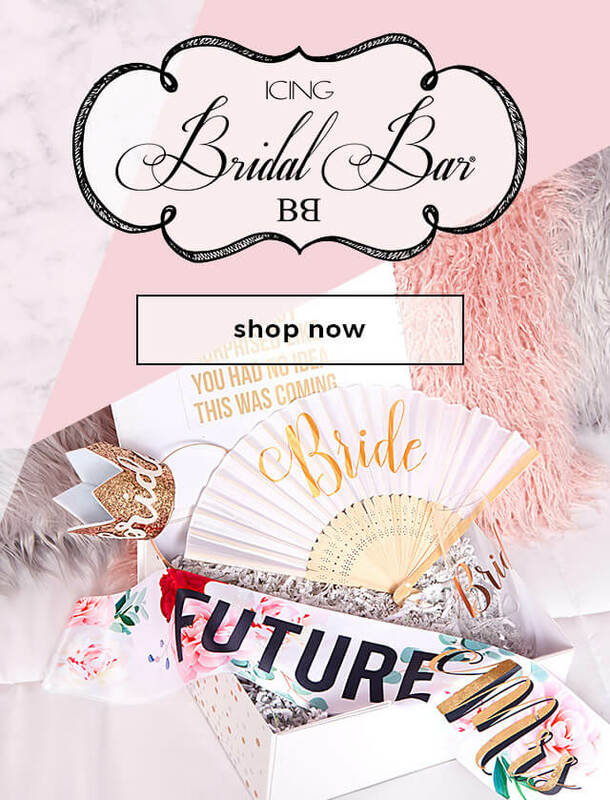 If you're a bridesmaid looking to treat your bride-to-be bestie, find a sweet something to let her know she's doing a great job not letting the planning insanity get to her! Grab a few bachelorette shirts and tanks to proclaim your MERmaids, your squad, or your tribe! 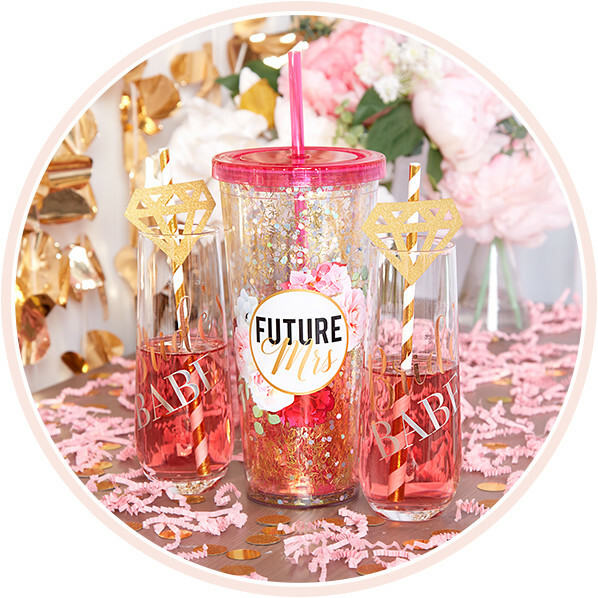 Get the right vibes with full bachelorette party sets complete with drinkware and decor. 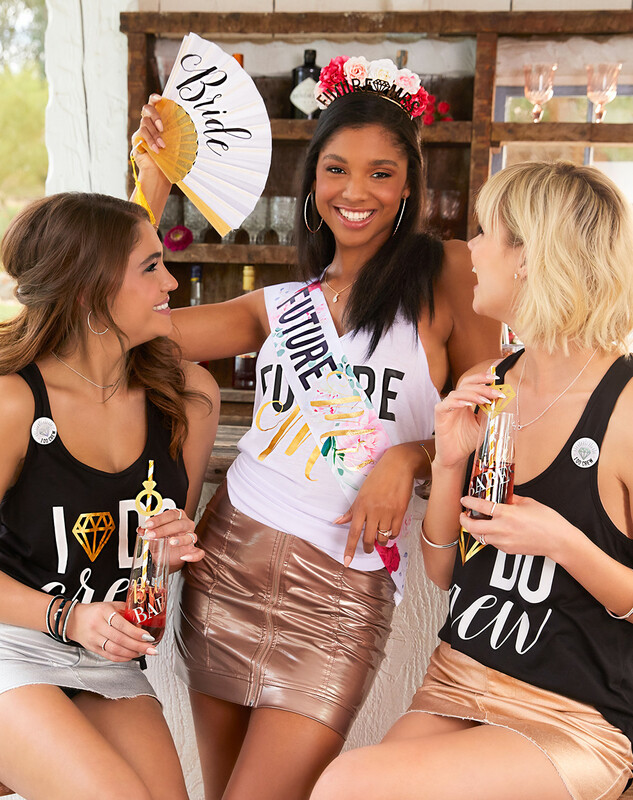 If the shirts and tanks are too cliche for you, grab a few bachelorette sashes for Team Bride and get ready to create some amazing memories. 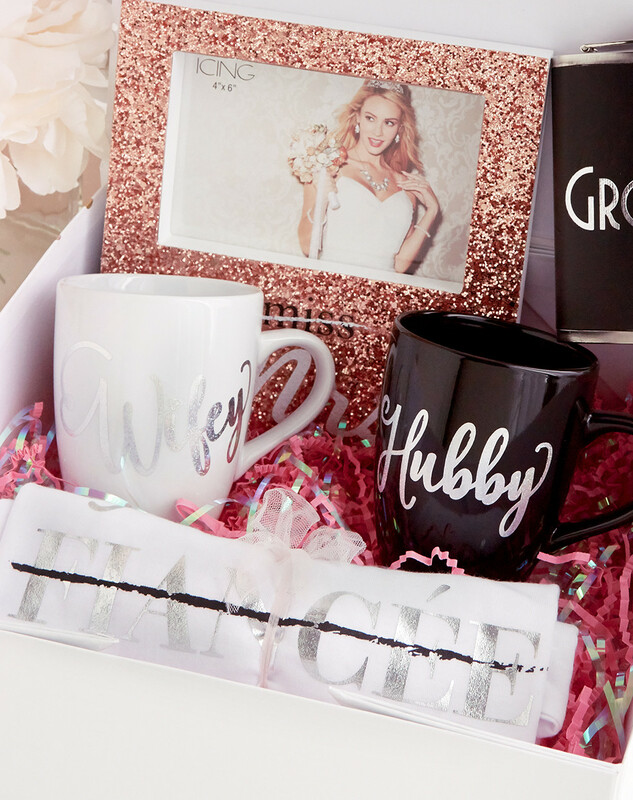 As you get closer to the "I dos," it's about that time to shower the bride with gifts! 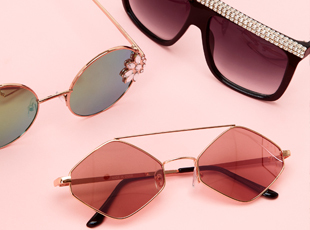 Get a few gift ideas together you know she'll love. Bridal robes make a great shower gift to get her ready for the big day! Definitely grab some bridal squad robes to match up with your bride bestie to get photo ready. For you, the blushing bride, have some fun on your day with bridal shower tiaras to let everyone know you're the queen of the hour. 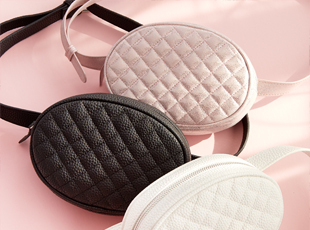 Get a few other goodies to perfect those bridal shower looks!